If you are looking for a cheap hotel in Florence, check on Traveleurope's website to select the best offers for the bargain hotels available. Book with Traveleurope your budget hotel in Florence to ensure the most comfortable and suitable solution that meets your needs, and to fully enjoy your holiday or short break. Do not miss the chance: book your cheap hotel with confidence on Traveleurope website and get an instant confirmation with no anticipated payment required. 1.8 km away from Florence and only 300 mt from the Court of Florence, Hotel Diva is the perfect choice for business or pleasure trips. 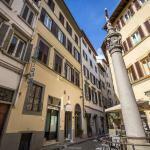 The public transport stops nearby provide easy access to the centre of Florence. 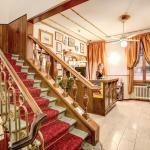 Located in Florence, near the Medici Chapels and the Duomo, Hotel Lorena is a budget 2 star hotel characterized by a warm atmosphere and an excellent price/quality ratio. 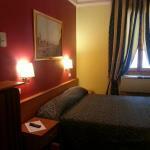 The Hotel Toscana, completely renovated in 2005, is a two-star hotel, located in the historic center of Florence. 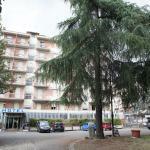 The hotel is situated in Via del Sole and is nestled in the heart of the city.